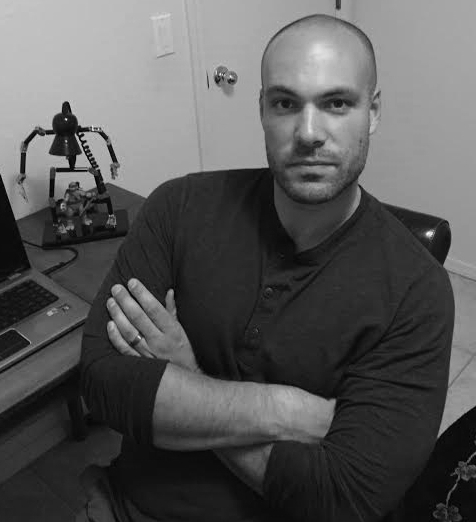 Zachary Jernigan’s debut novel No Return received plenty of outstanding press. 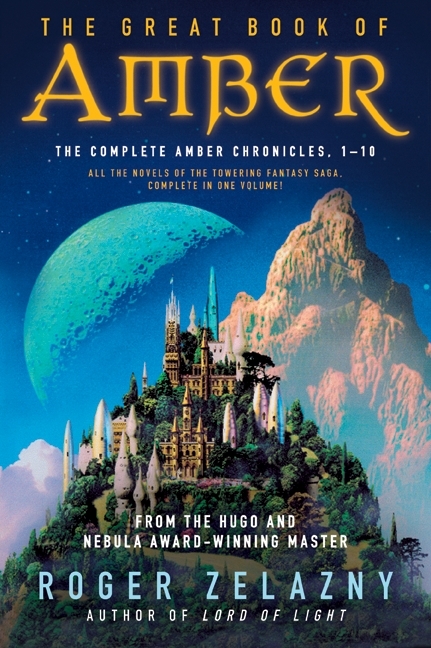 Reviewers compared it to the epic scale of Frank Herbert’s Dune and the surreal strangeness of Gene Wolfe’s Book of the New Sun, describing it as daring, hypnotic, and raising the bar. 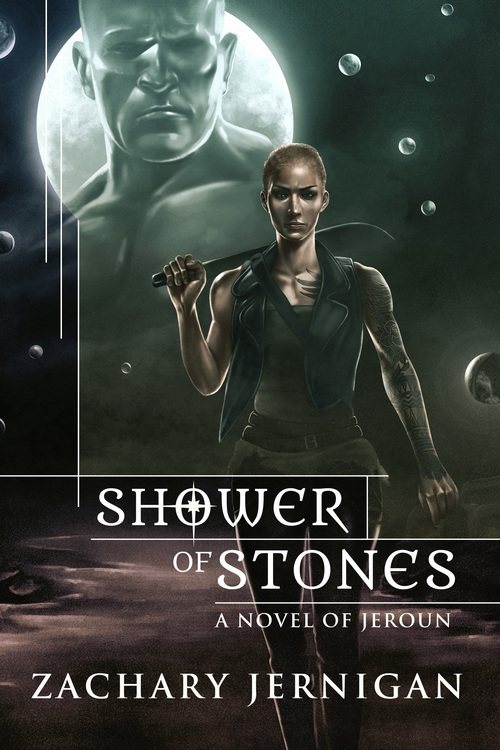 The sequel to No Return, Shower of Stones, hits bookstore shelves on July 7th. Zachary was kind enough to answer a few of my questions about his work. Little Red Reviewer: No Return has been described as genre-defying, hypnotic, and a mixture of science fiction and fantasy. What inspired you to write No Return? Was it a challenge to blend genres and to have wizards and astronauts in the same world? Zachary Jernigan: First off, thank you so much for having me! It means the world to be interviewed by invested fans and critics of the genre. In answer to your question, my inspiration has always been other people’s writing. Authors like Samuel Delany, Roger Zelanzy, and Cordwainer Smith, specifically, are points of reference. With No Return, I wanted to re-create for a reader the same sense of wonder and possibility that I experience reading work that deals in big, world-shattering themes without restricting itself to just science fiction or fantasy. I love cool-looking characters doing impossible things in crazy places, but I also like those narratives to be written well. Hopefully, I’m paying proper homage to my literary idols and not embarrassing myself. And yes, it was definitely a challenge. I mean, writing is always a challenge for me, but world-building is particularly taxing — perhaps especially so when mixing genres so obviously. Keeping all that crazy stuff consistent, in my own head but also within the story, was kinda hellish. Fun, but still hellish. Some writers love all that creation and it doesn’t stress them out. I love it, too, but accounting for everything stresses me out. 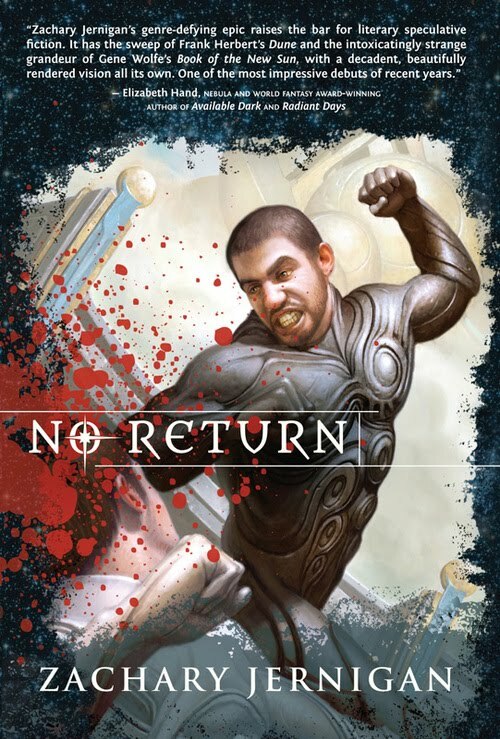 LRR: When you wrote No Return, did you know the story was going to continue? Is Shower of Stones the end of the story, or is there more to the story? ZJ: I did, yes. I always planned on two books. At the same time, I also miscalculated a bit. Long story short, once the first book was done I sort of… tried to convince myself that it was actually all done. The whole story, over, in that one book. It’s tough to say why I didn’t want to continue the narrative in another novel, having applied my efforts that far — some of it had to do with the near collapse of Night Shade Books, certainly — but the fact is that it was a struggle to get the second book done. There was a lot of self-doubt that I could pull off a sequel. Ultimately, though, I have to admit that I’ve never liked unfinished things. They stress me out most of all. I’m so happy I actually sat down and finished Shower of Stones, because I needed to finish what I started. Moreover, I want anyone who enjoyed the first book to continue experiencing the world and characters I created. As to the second part of the question: yes, it is the end of the story (though I hope there are still enough questions to create an interesting resonance). I wouldn’t write off the possibility of writing another novel set in the world of Jeroun, though. That might be fun, down the line. LRR: Tell us about Shower of Stones. This novel has been described as both follow up and companion novel to No Return. What can readers expect? ZJ: Well, Shower of Stones begins just a short while after the end of No Return, when the city of Danoor — and, by extension, the world — is collapsing in upon itself. People literally feel as though their civilization is at an end, and, as usual when people are stressed, they’re acting like idiots. Into this mess walks Churls, a former fighter and one of the lead characters, with a simple plan to save her lover and her best friend. In the process of enacting this plan, she and her companions end up making good on their half-promise to save the world. The novel could, I think (I hope? ), be read as a standalone, but ultimately it is a sequel. Readers can expect a lot of action and a faster, less info-droppy narrative centered around personalities and dire consequences. There’s violent revenge, people emerging from a real afterlife, a mystical battle underwater, and a crazed god rocketing into the atmosphere to punish some naughty heroes. LRR: Without giving us any spoilers, which scenes in Shower of Stones were the most fun to write? Which were most challenging? ZJ: The most fun one was the aforementioned mystical battle underwater. For some reason, I love writing scenes of underwater violence. I have no idea why. Maybe I should be a spear-fisherman. But seriously, that one was one of the few scenes I can recall that felt near-effortless. I think it turned out well, and I rarely say that. The most challenging ones were all the rest. I’m being serious. I struggle through nearly every page of fiction I write. LRR: Do you have any new writing projects on the horizon? ZJ: Early next year, a collection of my short fiction will be coming out. Other than that, I’m at work on a first-contact (kind of) novel set in a post-environmental collapse Earth. We’ll see if that one makes the light of day. I trash most of what I write well before it’s finished. LRR: Your work has been compared to China Mieville, Roger Zelazy, and Gene Wolfe, among other acclaimed writers. Did you set out to pay homage to any of these writers, or to the styles of anyone else? I did set out to pay homage to Zelazny, mostly in terms of theme. The aforementioned Delany and Smith, too. Other writers I purposefully tried to channel were Alice Sheldon (James Tiptree, Jr.), Phyllis Gotlieb, Steven Brust, Sean Stewart, and Ian McDonald. LRR: You’re a professional journalist. How has journalism affected how you view writing fiction, if at all? ZJ: You know — I have no idea! Damn. That’s a good question. I’d say that, unfortunately, it’s made it even less likely that I’ll get writing in during the day. You write stories for a living, don’t be surprised when you don’t want to do it when you get off work, I guess. At the same time, I think I’ve gained a keener eye for overwriting. When I’ve written recently, it has come out more concise than in the past. LRR: What advice do you have for fledgling writers? ZJ: READ MORE VARIED, CHALLENGING LITERATURE! Yep, all in caps. Why? Because too many people spend their time not challenging themselves in reading — in truly observing what’s happening on the pages of novels that at once entertain and frustrate their desires to understand. To be really good at writing (not that I think I’m that good, mind; I’m aspiring, too), you have to either have some kind of insane inborn talent or you have to do your homework. Since so few of us have inborn talent to fall back on, we gotta do our homework. It behooves anyone who’s trying to write to spend a lot more time reading — or at the very least an equal amount of time reading — than writing. 2 Responses to "Interview with Zachary Jernigan"